Zucchini Chips | Om nom nom! Preheat oven to 425º F and line a rimmed baking sheet with parchment paper. Arrange zucchini slices in a single layer and spray lightly with cooking spray. 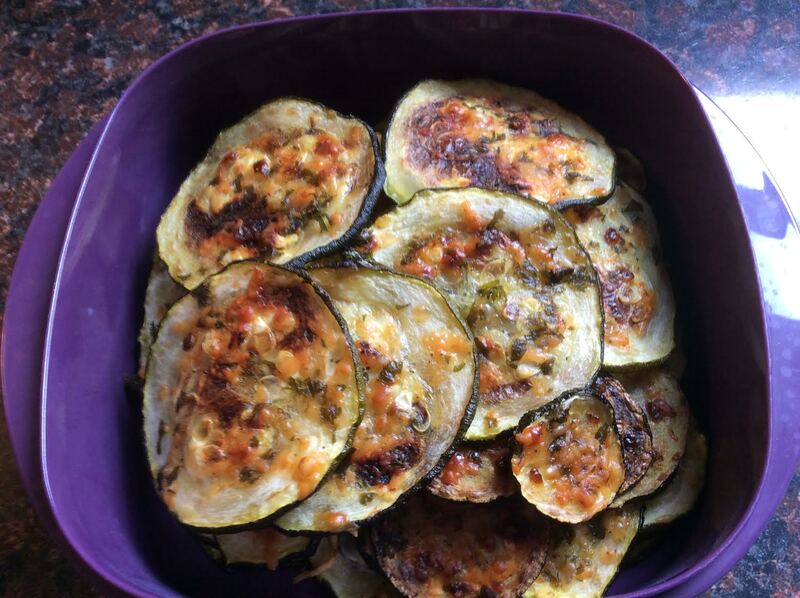 Mix together Parmesan, parsley, black pepper, and salt, then sprinkle over the zucchini. Bake for until cheese has melted and zucchini slices have become crisp, but not burned, about 30 minutes.